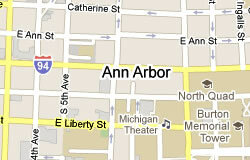 Ann Arbor, Michigan’s Northside is a diverse and progressive neighborhood known as the location of the University of Michigan’s North Campus. The Northside is also known for being the home of Domino’s Farms Office Park, which houses over 50 successful corporations and non-profits, including the headquarters of Domino’s Pizza itself. 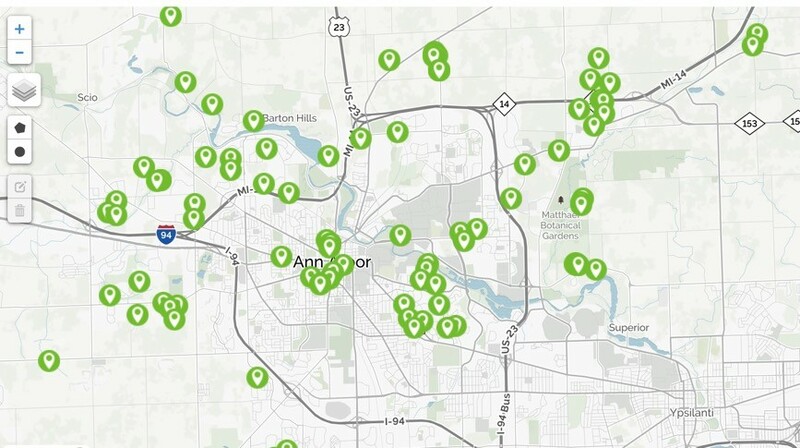 Northside Ann Arbor real estate is occupied by more than famous landmarks and facilities: it includes affordable housing and great outdoor recreation too. Northside Ann Arbor real estate is close to several natural parks for families and young children to enjoy, including Olson Park, Leslie Park and Northside Park. The Northside parks all have ample space for kids to roam free, plus softball and soccer fields for local teams to enjoy. Not only are the parks functional, but they all have amazing scenic views of Michigan plant life. If you like to hit the links now and again, look no further than Leslie Park Golf Course. With 18 holes, lush greens and four sets of tees to choose from, golfers will find plenty to love at Leslie, which is open to the public. Locals and guests love Leslie Park for its challenges, affordable green fees, and the fact that it is owned and operated by the city of Ann Arbor itself. Leslie Park is also appreciated and respected by top golf publications, including Golf Digest, which named it the #1 Municipal Golf Course in the State of Michigan. Northside Ann Arbor real estate has become popular with young families, students and young professionals. The area has many surviving older homes available, plus a wide variety of condos and townhouses. Northside’s housing prices remain lower than in other parts of Ann Arbor, giving homebuyers great values on homes in an ideal location. College students and young singles alike will love the New England Style townhomes and condos offered at Barclay Park, which is perfectly nestled in Northeast Ann Arbor, only minutes away from bustling downtown and the UM’s North Campus. In addition to the great location, the amenities included should make living at Barclay Park an easy decision. With tennis and basketball courts, professional landscaping year-round, balconies presenting great views and scenic nature trails, what more could you ask for? If you are looking for a more upscale family home, Northside has something for you. Foxfire and Barton Hills are subdivisions of Northside and both boast an impressive array of quality housing options that will satisfy discriminating buyers. Located along the Huron River, Barton Hills has many spacious 1-3 story homes in a very secure area. Barton Hills has its own country club as well as easy access to the M-14 expressway, making it a pleasant mix of luxury and convenience. For national and international travelers, there is the added convenience of Detroit Airport being only a 30 minute drive away. Foxfire features many homes built from the early 1990s to the early 2000s, giving it a more modern feel than other areas of Northside. Foxfire is similar to Barton Hills with its easy access to highways, Detroit Airport and nearby parks. Families with young children love these subdivisions as they are located in safe areas with quality public schools not far from family recreation and kid-friendly spaces.